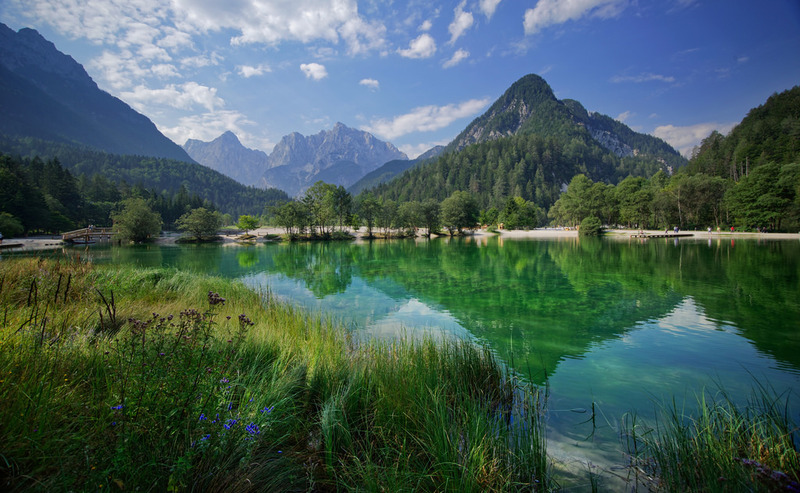 We have put together an amazing deal for a one week trip trekking in the Julian Alps of Slovenia. More specifically we will be heading to the Triglav National Park just across the border with Austria. The trek we will be doing is referred to the Haute Route and includes some great Via Ferrata sections and lots of scrambling. This hike never goes over 3,000 meters so there is no need to worry about altitude sickness or acclimatization. We will meet up in Vienna, Austria home of great classical music and amazing Renaissance history. There will be some time to explore this great city. We'll also base out of the Lake Bled area of Slovenia, probably the most picturesque village in the Alps. Some meals are included and listed below, but huts without included meals, you may order off the menu. The mountain cuisine is amazing and you will not go hungry on this trek. Everyone is requested to arrive in Vienna no later than 9:30 a.m. on Sunday, September 8th. There are a number of flights departing on Friday evening and Saturday that arrive between Saturday afternoon to Sunday morning. Please select your flights accordingly. If you arrive on Saturday there will be time to explore central Vienna, try some amazing sweets, and even enjoy some music if you'd like. September 8 (Sun) - ​ 9:30 a.m. - We will arrange pickups based on everyone's arrival time and then depart for Slovenia. It's about a 4 hour drive to Lake Bled where we will be spending the day at the base of the Julian Alps with amazing views. There will be time to visit Bled Castle, the oldest castle in Slovenia with great views from it's high point. 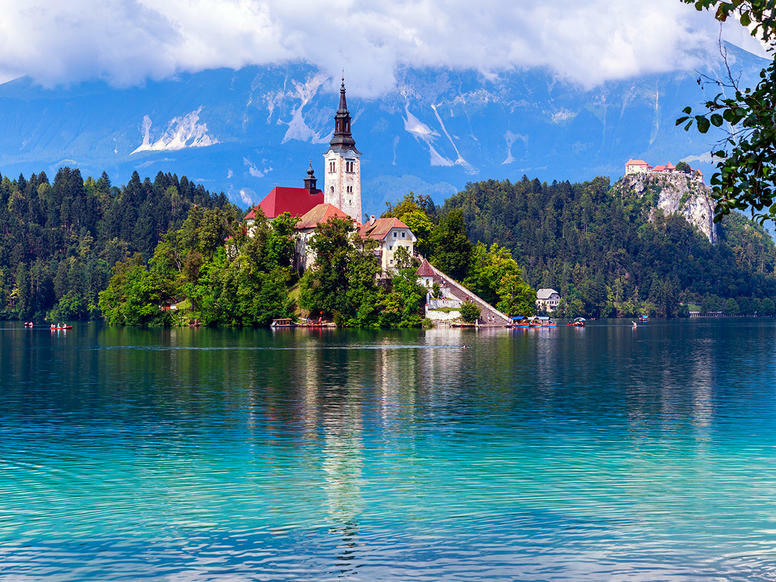 Other options include, or visiting Bled Island by row boat or, going for a swim in the emerald green waters. The town is also famous for a variety of seasonal cakes. We have reserved dormitory rooms for our group at The Castle Hostel 100,in the center of the city. This gentle warmup hike climbs upt o the top of SLovenia's only alpine road pass at 1,611 meters. Vršič pass was built by Russian POWs in the First world War. Our route parallels this road traveling through attractive forests and alpine meadows avoiding the road. There are amazing views from Lake Jasna of the Triglav mountains and we will also pass by a Russian Church built in 1911. 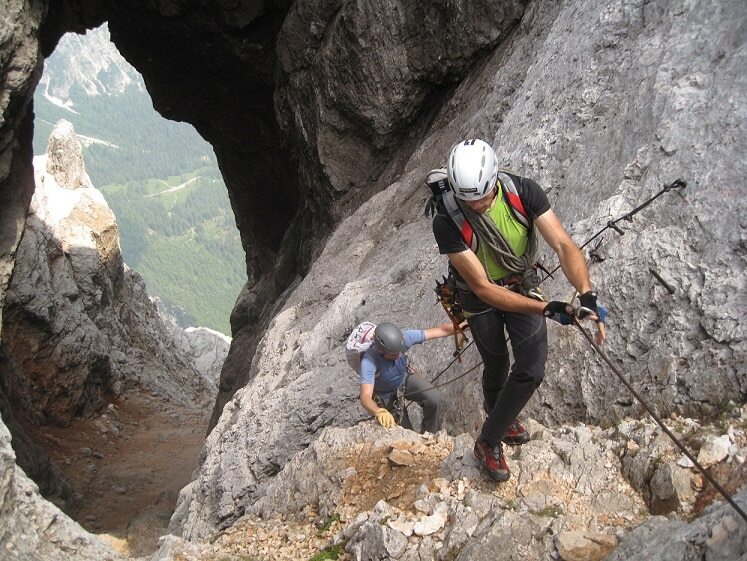 This day will feature some via ferrata sections as we cross over Prisojnik and Razor Peaks. After a short easy warm-up ascent we start heading up and over Prisojnik peak which features a number of well protected via ferrata sections. Along the way we will see rock features including the Heathen Maiden and pass through the east window and tired pillow. After crossing the summit it's a ridge hike over multiple sub peaks until the top of Razor at 2,601 meters. From there we descend to our hut for the evening. 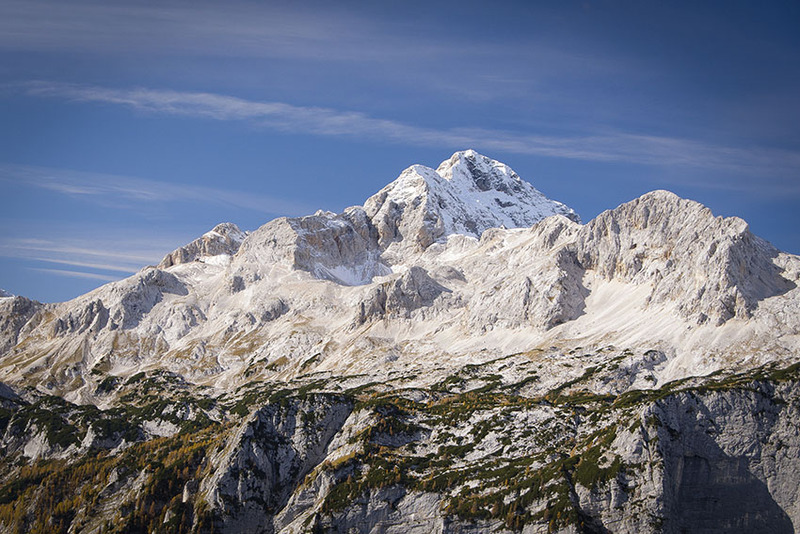 Triglav is the national symbol of Slovenia and every citizen should stand on it's peak. This is our most difficult and exciting climbing day where we will ascend the most difficult via ferrata route to the summit of Mt. 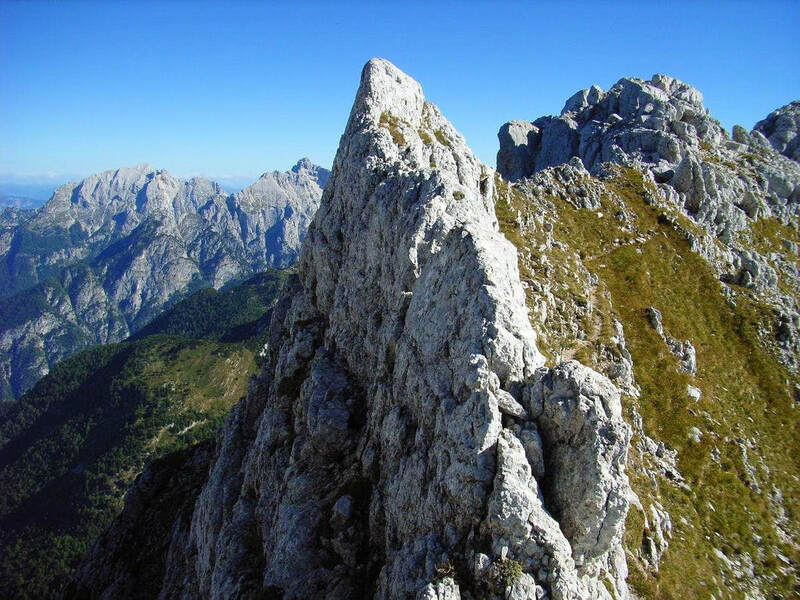 Triglav, the Pleminice Route. The climb up from Luknja Pass is all scrambling with cables protecting the steepest parts along the North Face. After enjoying a well deserved rest on the summit, we will descend to 90 minutes along the Prag route to reach our hut for the night. On day 4 of our trek, we will continue to remain in the alpine area with the main goal of reaching the Triglav Lakes Valley. This is a relatively short day just in case we need the morning for our Triglav summit climb. There are a couple of easy scrambling sections, but overall this is a fun alpine walk. The valley features a total of 7 lakes and this night we will be staying close to 3 of these lakes so plenty of time for exploration and wildlife watching. We will continue trekking through the Triglav Lakes Valley but make a detour to cross over the two peaks of Mt. Spicje. The initial ascent will be steep gaining 300 meters quickly then leveling out with a few ups and downs as we cross over these two peaks with amazing views of Mt. Triglav and the rest of the Julian Alps. From there it's a gradual descent back to the lake valley and then a relaxing walk to the Komna Hut where we will spend the night. On our final day of trekking will be relatively easy as we gently descend down the final part of the Triglav Lakes valley working our way to Lake Bohinjsko and return to civilization. This final valley should offer us some early fall colors at the lake. After having lunch by the lake we'll pick up the cars and begin making the drive back to Vienna for our final night in Europe. You'll have the morning available to explore Vienna. We'll plan transport to the airport based on everyone's flight times. If you have a later flight then you may be requested to take public transportation, but the cost is minimal as the airport is close to the city center. Depending on your flight schedule you will arrive at either Narita or Haneda in the afternoon to early evening. *You are also welcome to arrive on an earlier day or depart at a later day if you wish to explore more in the area before coming back to Japan. 50% of the trip fee is due within 48 hours of booking to secure flights, and the remainder will be due 2 weeks before the trip. Mountain Huts: Mountain huts in the Alps are very comfortable, and you can expect to have a lot more space than you would in a Japanese mountain hut. Prices for food are very reasonable and it is all super tasty. Local beers cost 3~5 euros for 500ML, and many of the huts are also equipped with coin showers. You will need to have a sleeping bag liner or cotton sleep sack for staying in the huts though. 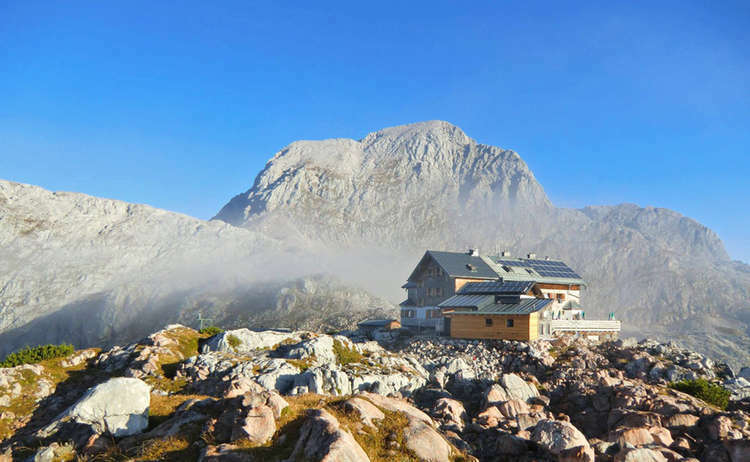 The Planika hut however does not have showers or running water in toilets, it is very basic due to it's high alpine location. Any cancellations less than 30 days before the departure date will be subject to a 100% cancellation fee minus any refund provided by the airline which we will return to you. 31 to 60 days before the departure date will be subject to a 50% cancellation fee. ・Required Equipment: Trekking boots, rain jacket and pants, warm layers, 35L backpack, headlight, 2L water, Via Ferrata set, and money to purchase food on the trail.